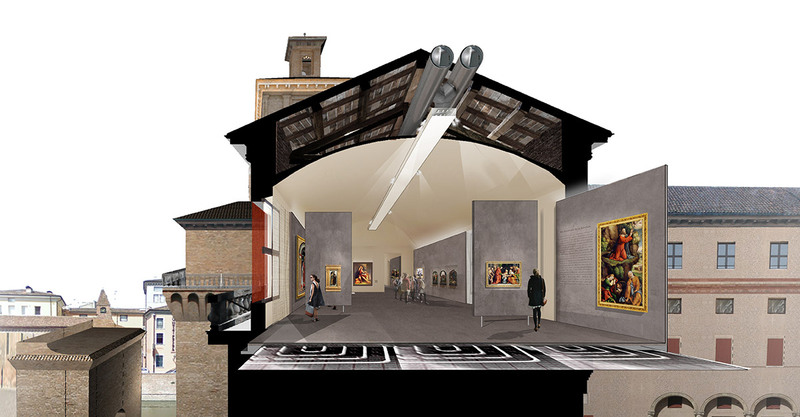 from project report | Ferrara Art Foundation has requested the development of this feasibility study in order to define the possibility of transfer of the National Art Gallery in Ferrara from the current headquarter in Palazzo Diamanti to the second floor of the Estense Castle. 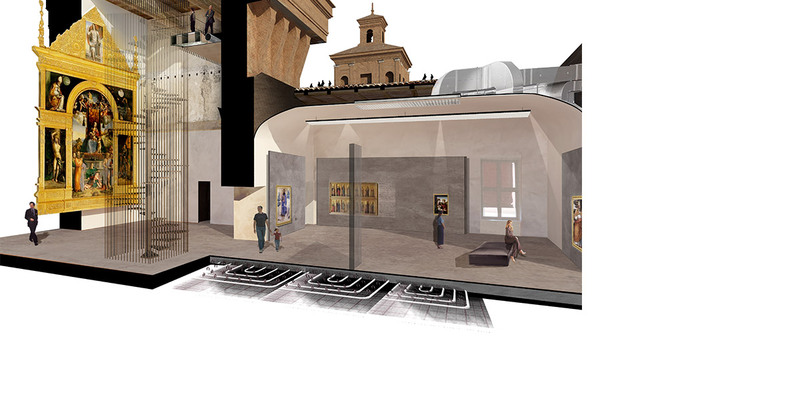 The work intends to highlight all aspects -positive or negatives- that this type of intervention necessarily entails. 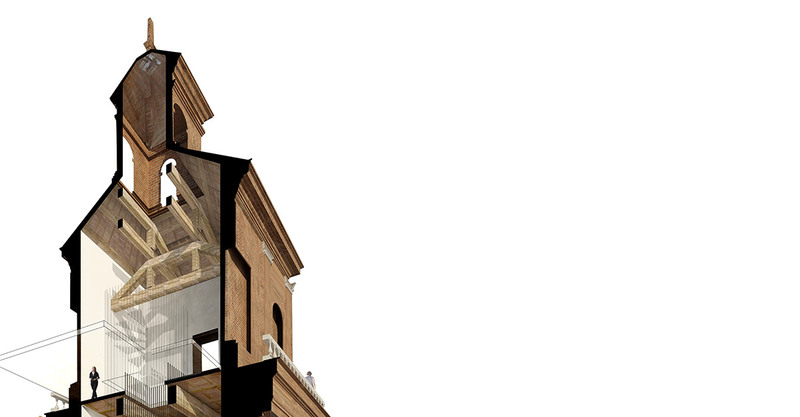 The result does not intend to find a unique way but wants to offer all the necessary tools to make a well balanced choice. 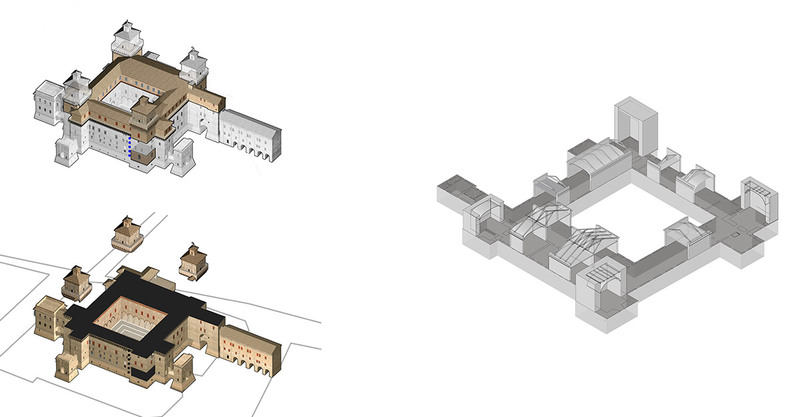 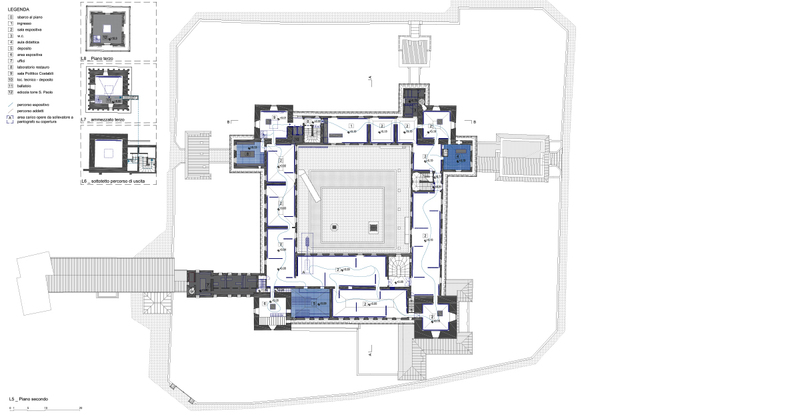 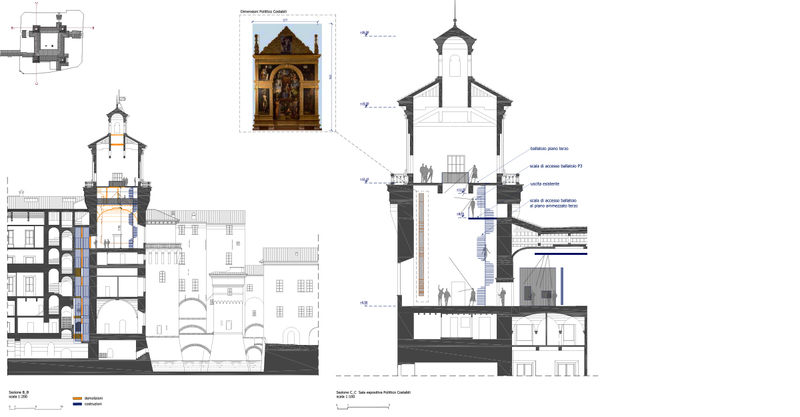 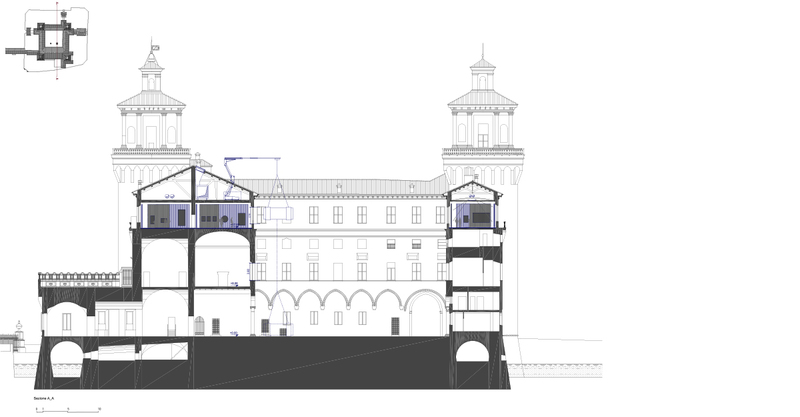 For this reason the proposed project is not only a proposal for the setup of the second floor but it is an analysis of the complicated machine which is the Estense Castle.